Delivered fully-assembled and ready to provide the signature Russkell Furniture combination of tasteful style with unrivalled comfort, our eclectic range of occasional chairs is guaranteed to inspire and excite. From the classic and understated to the boldly vivacious, these chairs will instantly transform any room they are placed in. 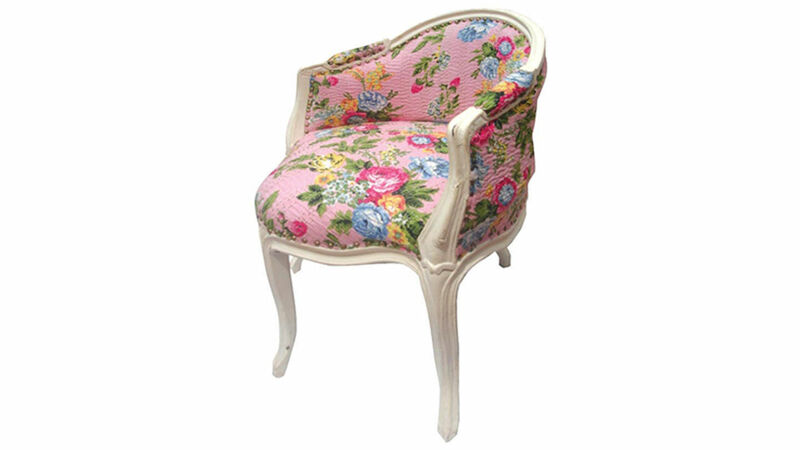 With its pretty shape and riot of colourful flowers on a pink background, the Lucy occasional side chair is bold and striking yet maintains an innocently-vintage feel. The arms and legs of this compact chair, rendered in classic white, have been given a distressed finish to enhance the vintage appeal. 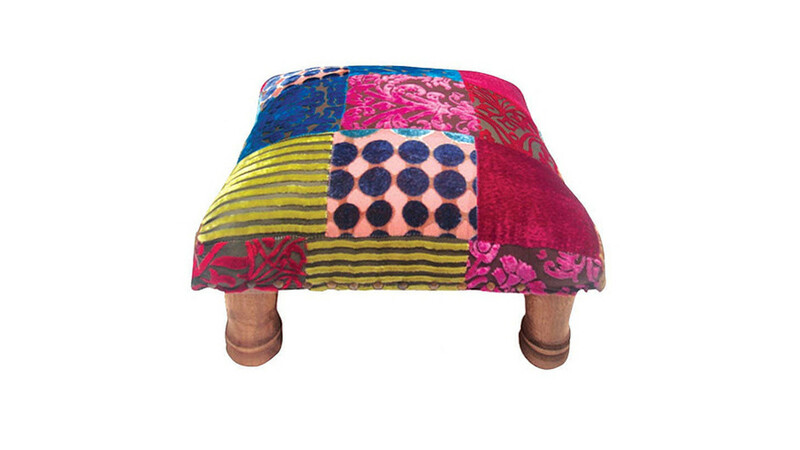 Standing at just 10 inches high, the Matilda velvet patchwork stool is incredibly cute. Its low height belies an extremely generous sitting area of 40cm² and the eye-catching patchwork fabric covers a supremely comfortable cushion. Attractive studs strongly hold the upholstered fabric in place while the whole is supported by four stout wooden legs with gently curving profiles. 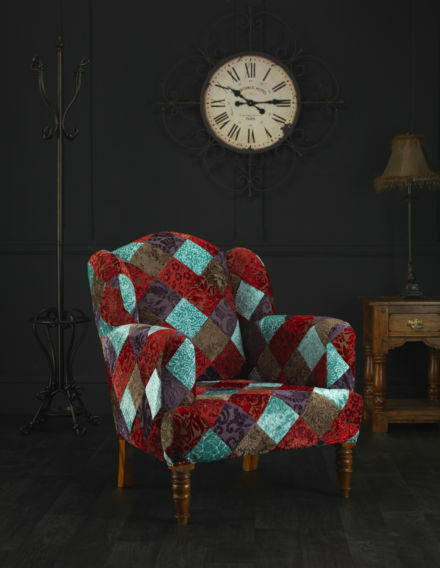 Patchwork fabric has also been used to upholster what is perhaps the most exciting of our occasional chairs: Alice. This large velvet patchwork chair, which is covered in a dazzling array of blue, red, brown and purple squares of fabric, features a high back and arms, allowing the sitter to totally relax into the soft yet supportive cushions. The Alice chair makes a real statement and is designed to inspire a wild and mystical aesthetic. Tasteful and timeless, the Tilda striped occasional chair shows great versatility, blending perfectly in a variety of settings. The design is somewhere between a stool and a chair, having no arms yet with a high, curved back that comfortably envelops the sitter. As with all of our luxury furniture, this chair displays the expert skill and craftsmanship shown by our dedicated team of upholsterers. 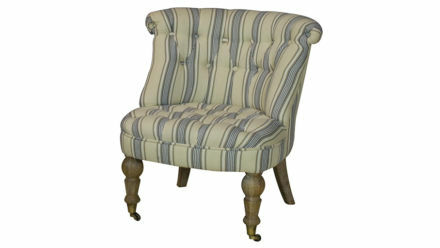 These and the other large and small occasional chairs from Russkell Furniture Lancashire are currently available with a fantastic 10% discount in price for a limited time. Please enjoy browsing the full collection and call 01254 773232 or email info@russkellfurniture.co.uk for further information.